Vazhakkai Varuval is a simple South Indian Style dry preparation. Vazhakkai, also known as Plantain or Raw Banana and is used extensively in the South Indian Cuisine. Vazhakkai Varuval can be made in different ways with different masalas according to you taste. We have made a flavourful, tasty Vazhakkai Varuval with everyday spices which are easily available in your pantry. Did you know: Although plantains belong to the same family as banana, they contain more potassium, vitamin A and B-complex vitamins than bananas which makes it a super food to help control heart rate and blood pressure, countering negative effects of sodium. They are also known to be diuretic and can help prevent kidney and bladder problems. 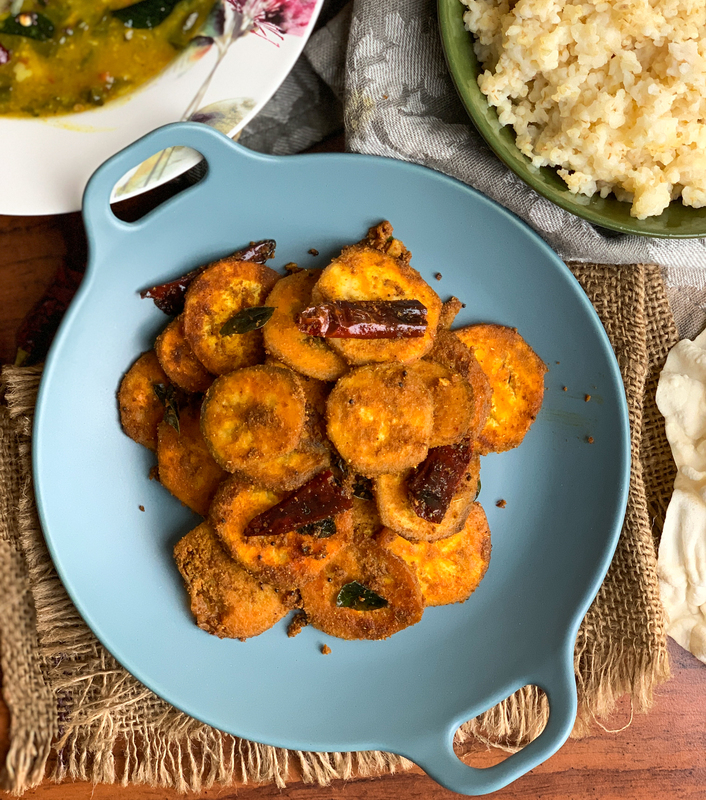 Serve the Vazhakkai Varuval/ Raw Banana Roast Steamed Rice, Tomato Rasam, Vendhaya Keerai Sambar Recipe, appalam, ghee and lemon pickle for a perfect south indian lunch. You might also like to try other raw banana recipes at your home and serve them to your family.